Introduction to the work and spirit of Brian Holcombe as an artist and craftsman. Brian Holcombe designs and builds original work, drawing influence from Japanese Sashimono and furniture of the Ming Dynasty. Focusing on cabinetry, casework, tables, boxes, art framing and traditional Japanese sliding doors known as shoji. Hand tools and traditional methods of work are an important part of his work. Hand tools connect the maker to the process while allowing freedom of form. Working by hand further encourages a constant pursuit of new facets and understanding of the material while continuously honing the maker’s personal ability and skill. Interlocking joinery is a hallmark of his work. 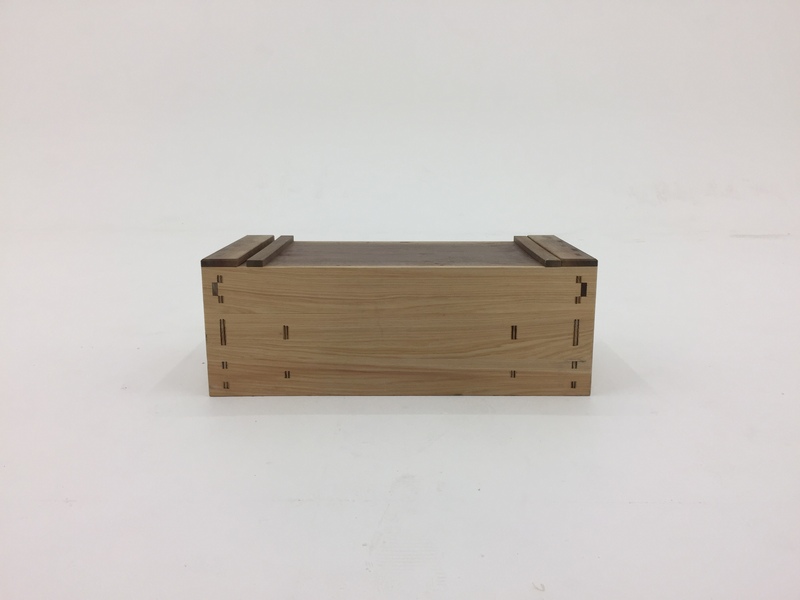 Brian uses methods of joinery traditionally found in furniture and those adapted from traditional Japanese timber framing. Brian Holcombe Woodworker Studio is located a short drive from Philadelphia. The studio is easily accessible by train from NYC. Please call or email ahead of time so that he can provide details of the studio location. Brian works by appointment within the listed shop hours.